Availability: The Result will be available from 15th May 2019 in the official website which will be declared by Directorate of Technical Education (DTE) Goa. Merit List: The provisional merit list of GCET 2019 will consist of the ranks secured by the candidates along with their 12th standard and GCET 2019 scores. Based on the cut-off marks DTE will prepare the merit list. Tie Break: Situations where two or more candidates securing the same aggregate, marks may arise during the preparation of GCET 2019 merit list based on Marks obtain in one subject (subject priority Mathematics>Chemistry>,Physics). If still tie is not breaking then DET will check 12ts mathematics. If still The tiie is not breaking then higher age will get higher rank. Cut-off: Directorate of Technical Education (DTE) Goa will determine cut-off based on various factor, like Total capacity of seat by specific course, Total seat available by the college, Performance of candidate, Reservation for ST/SC/OBC etc. How to Check GCET/ GOA CET 2019 Results? Step 2: Click on the link ‘GCET Results Declared’. Step 3: The result will display in a pdf format. All the qualified students name will be display in that pdf file. Step 4: In result, candidates Name, Roll Number Category, Marks Scored in each subject and Rank will be mentioned. Step 5: Qualified candidates must download and take a printout of the scorecard which will be asked during the counselling process. Candidates will be able to access the provisional GCET 2019 Merit List after 2 weeks of the declaration of result. The provisional merit list of GCET 2019 will consist of the ranks secured by the candidates along with their 12th standard and GCET 2019 scores. The shortlisted candidates for GCET 2019 Counselling will be selected based on the GCET Merit List 2019. The Merit List for GCET 2019 will be published at the admission centre as well as online for all candidates. The name of the candidates, their 12th standard and GCET 2019 scores along with the ranks will be available in GCET Merit List. The candidates will be able to check their ranks as per their category in online mode. After checking their ranks, the candidates are advised to verify their allotted marks and details in the provisional merit list of GCET. If any mistakes are found in the released merit list, then the candidates will have to report to the committee within 24 hours. Objections raised after 24 hours will not be accepted. Candidate with more marks in Mathematics will be ranked higher. If there is a tie in Mathematics score, then the candidate who has scored more in Chemistry will be ranked higher. If the tie is still not broken, then the candidate with higher aggregate marks of Physics and Mathematics in the 12th standard will be ranked higher. If the tie still persists, then those candidates who have scored higher in Mathematics (12th standard) will be placed higher in the rank list. Finally, if the tie is still not broken, then the candidate who is older in age will be given preference. 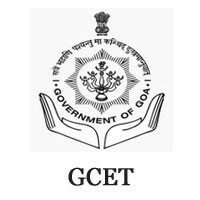 DTE, Goa conducts GCET 2019 and is the competent authority that decides GCET 2019 Cut-off marks. GCET 2019 cut-off determinants include various factors like candidates’ performance, seat capacity of the respective courses and the college, total number of test takers, the difficulty level of the paper and reservation policy. Applicants failing to meet GCET Cut-off 2019 will not be considered eligible for admissions to B.Tech/ BE programs at the universities and colleges in Goa. On the basis of GCET 2019 cut-off, Directorate of Technical Education (DTE) Goa prepares GCET 2019 merit list for the examinees. Seats are allocated to candidates as per their ranks in GCET 2019 Merit List. When can we expect the final results?